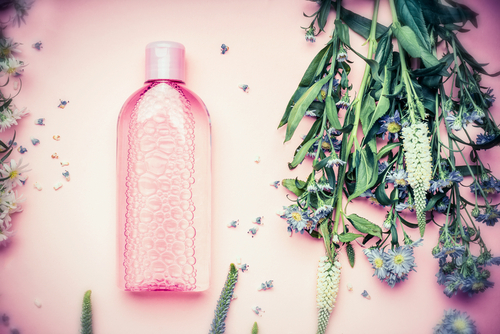 Micellar Water Is A Must Have Product In Your Beauty Arsenal, SERIOUSLY! Cheat on your diet if you want, but don’t you dare do the same to your skin. Make it a habit to look after your skin every day by cleansing, exfoliating and moisturising it. Another golden rule is to remove your makeup before you go to bed. I learned this the hard way. 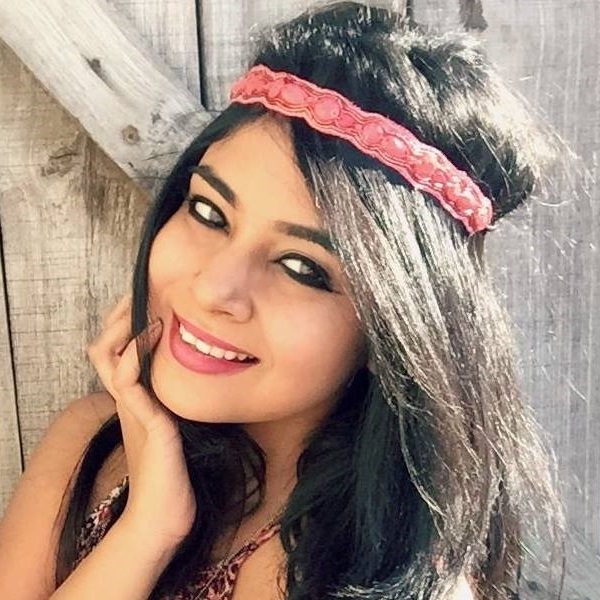 Even if you’ve applied minimal makeup like BB cream or kajal, remove it. 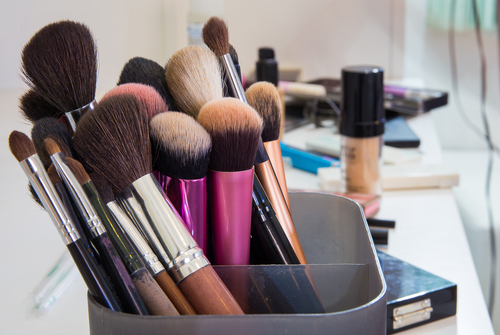 Understand that almost every makeup product today has chemicals in them. Not removing it can cause your skin to breakout. You may even experience skin irritation and eye infections if you neglect your skin’s hygiene. A beauty product I highly recommend you to try is micellar water! What is it and why should you use it? The answers are just a scroll away. What In The World Is Micellar Water?! Pronounced as my-cell-ar, it was first originated in French pharmacies. It’s actually purified water that has no traces of minerals, metals and impurities that’s found in natural water. Packed with oil compounds known as micelles, it’s main aim is to wipe off excess sebum, makeup residue and dirt on the surface of your skin. One of the reasons it’s so popular today is because of its versatile features. I use it as a cleanser, toner and moisturiser when I feel too lazy to pick up individual products. You should try it sometimes! Whenever I’m travelling, I always carry micellar water with me. It saves me time and effort. I don’t have to find a sink to wash my face and need a towel to tap it dry after. Just a lil bit of this product wipes my makeup off easily and in minutes my skin is air-dried. You can either leave it that way or use a moisturiser to keep skin hydrated and moist. If your next question is, “Will I find one that suits my skin type?” The answer is, of course, you will! For dull, dry and dirty skin, the Innisfree City Pollution Defender Micellar Water (Rs 1,100) is a great choice! Infused with Jeju jujube extracts, just a few swipes will ensure that your skin is left feeling soft, hydrated and clear. Waterproof makeup has nothing on you when you have the Garnier Skin Naturals Micellar Oil-Infused Cleansing Water (Rs 180) by your side. Compared to all the other micellar products in the market, this one is affordable and effective at the same time. For combination and sensitive skin types, L'Oreal Paris Micellar Water (Rs 475) and Bioderma Sensibio H2O Micellar Water (Rs 990) are the best! You don’t need to read instructions or follow manuals to use this product. All you need is your fingers, cotton pad and this magic water to get the job done! While swiping, always stick to one direction. 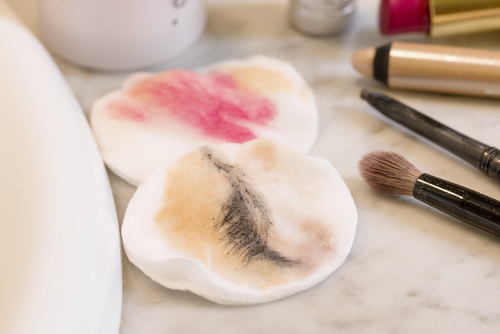 The key is to spread the makeup residue while cleansing your lips, face and lids. I used to need more than two cotton pads to wipe off heavy makeup from my lids. That was before I learned this simple trick - place the cotton pad on your lids and hold it for a couple of seconds. Wipe the product off after. You’ll notice that with just 1 swipe, you’ve removed all the eyeshadow residue. Any Other Ways To Use Micellar Water? Most hand sanitizers are loaded with chemicals that can dry your skin out. Who needs that drama when you have micellar water, right? Pour a bit of magic water on your palms and rub your hands. This will clean your hands and make them baby soft. No need to wash your brushes with running water. Just pour some micellar water in a glass. Dip each brush and swirl them around. After removing the brush, wipe off the excess makeup residue using a cloth or a tissue. Putting falsies on is easy, taking them off is the problem. If you’re not careful and patient enough, you can even damage your lids and natural lashes by removing them in a haste. 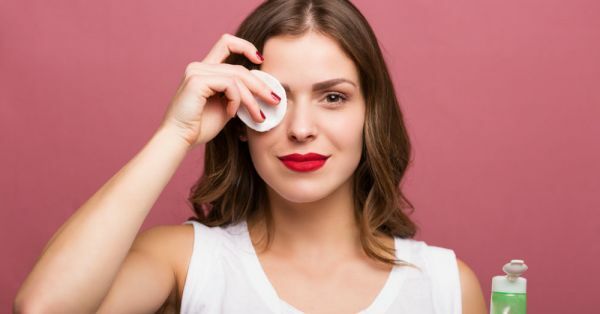 Hence, you must take a cotton pad that’s soaked with micellar water and place it on your lashes. After a minute or two, it’ll be easier to remove your falsies.